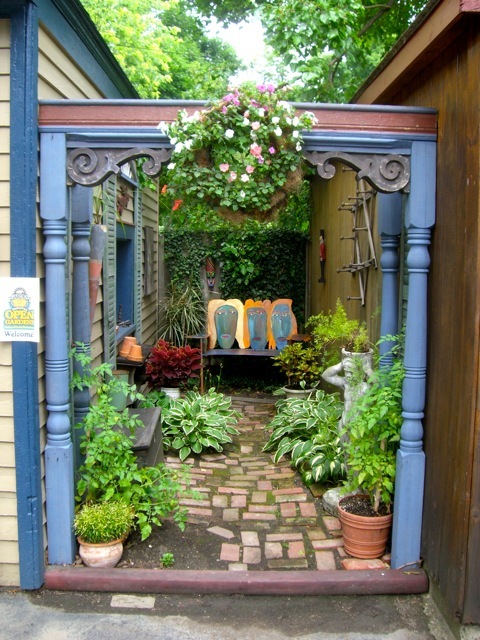 The Ly garden on Brayton Street. 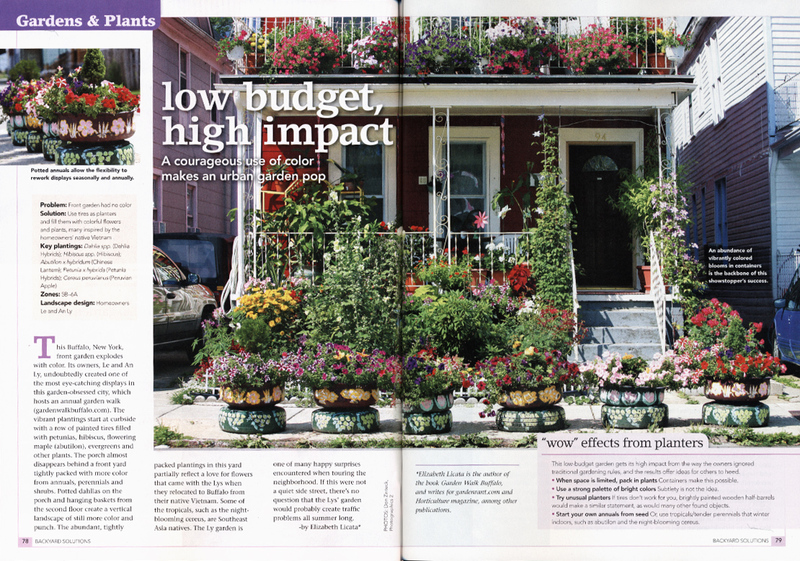 The Nguyen Garden on Brayton, "Low budget, High Impact"
The Ecker Garden on Johnson Park, "Raised Beds Get Raves"
The Furminger Garden on Sixteenth Street, "Masses of Color"–though the magazine seems to have picked up photos of the gardens next door at 84 Sixteenth Street! The Widger Garden on Ashland Avenue, "Curved, Colorful, Delicious"—featured over four pages. The Ostertrom/Thomas Garden on Pennsylvania Avenue, "Beach Shack Chic"
According to my records, and I think I'm the only one keeping them (which is good, because I never get challenged), other than the Garden Walk Buffalo book, the only garden of these to have been published in a national magazine was the Widger garden on Ashland – and that was their front yard garden—just a few weeks ago—in another Harris Publications magazine, you can see more about that in my post here. 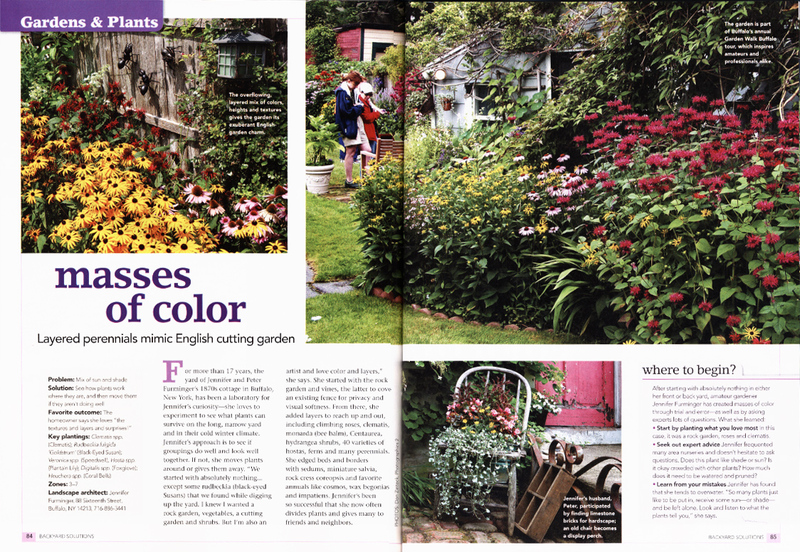 This magazine is chock full of gardens (65! )—and virtually no advertising—and each featured gardener gets asked the same basic questions in a sidebar: Problem, Solution, Key Plantings, Zone, and Designer. 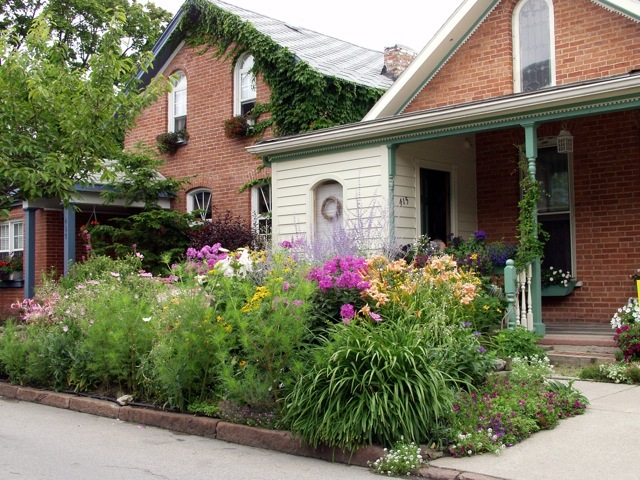 And of course, landscape design for Garden Walk Buffalo gardens is going to be the homeowner. There's nary a professional designer that's ever touched a Garden Walk garden – hence their unexpected and brash colors, textures, unique cultural aesthetics, found art, and extreme personalization—Buffalo-style gardening. 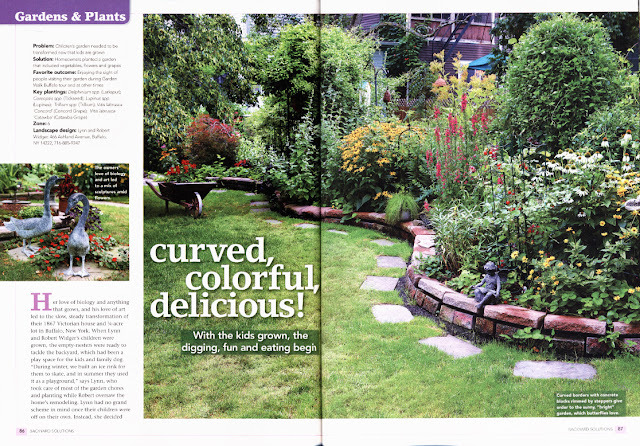 Each article also features an interview with the gardener—with some history or context for the garden's design. The Ly Garden interview was written by Elizabeth Licata, editor of Buffalo Spree magazine and blogger at www.GardeningWhileIntoxicated.com and www.GardenRant.com. 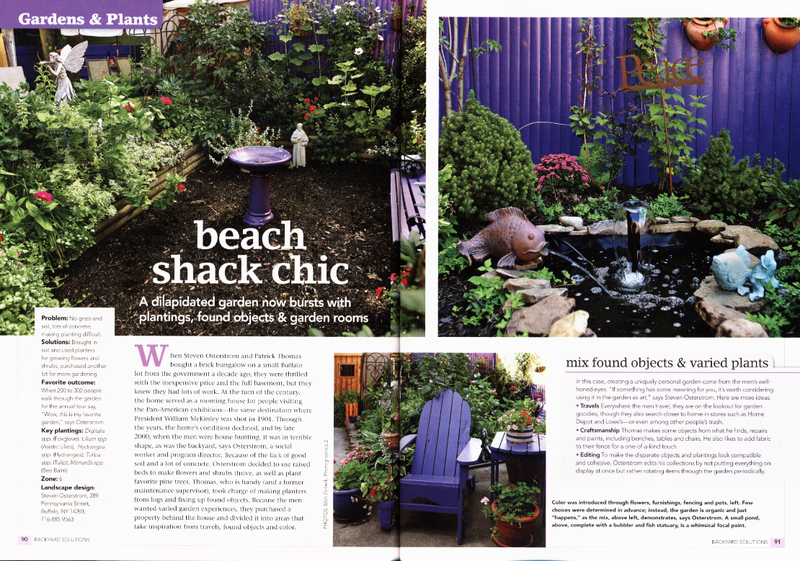 All the photos were provided, at no charge, by Garden Walk photographer Don Zinteck, of PhotoGraphics 2. As usual, the use of these photos for Garden Walk allows us to promote GW and Buffalo to a national audience and our appreciation cannot be measured. 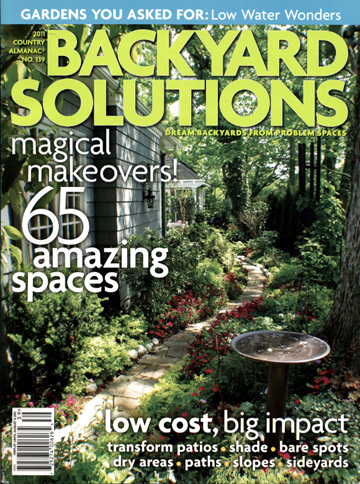 Backyard Solutions can be purchased nationally, where ever magazines are sold. I purchased mine at a local Tops grocery store. 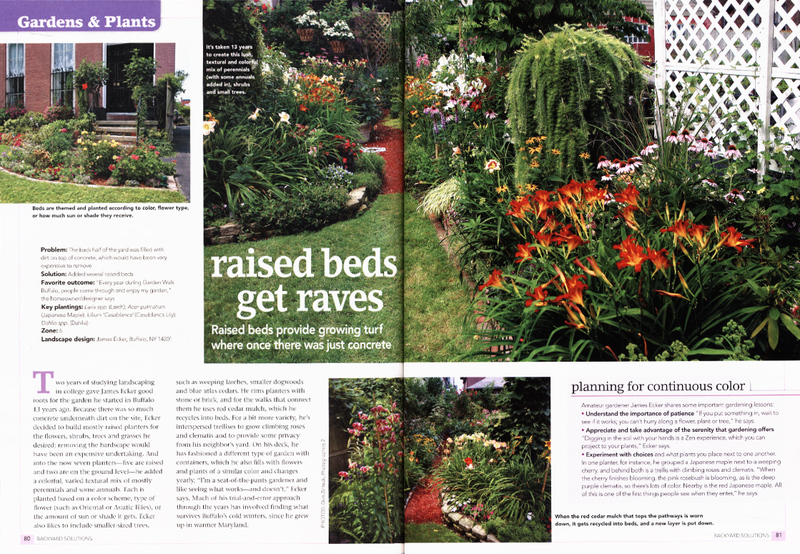 The Furminger garden interview and 84 Sixteenth Street gardens. but I think the other two photos are the neighbor's garden. I could be wrong. 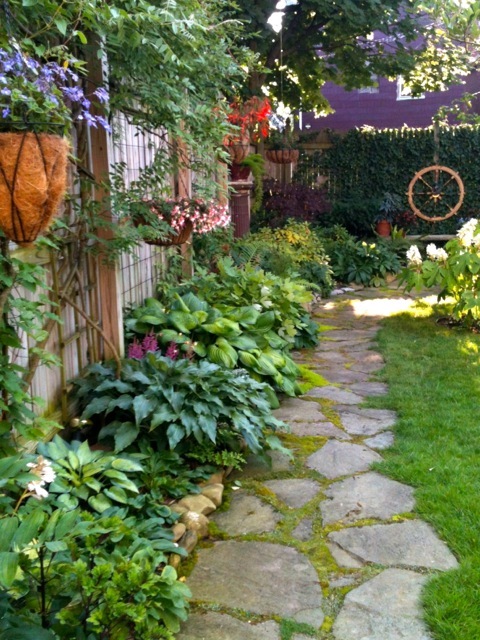 The interview is with gardener Jennifer Furminger. The Osterstrom/Thomas garden on Pennsylvania Avenue. The Widger garden on Ashland Avenue. Wonderful job eveyone did to bring Buffalo to the garden world. My favorite is Brayton Street, the obstacles were the inspiration. Oh how I long for true Spring.